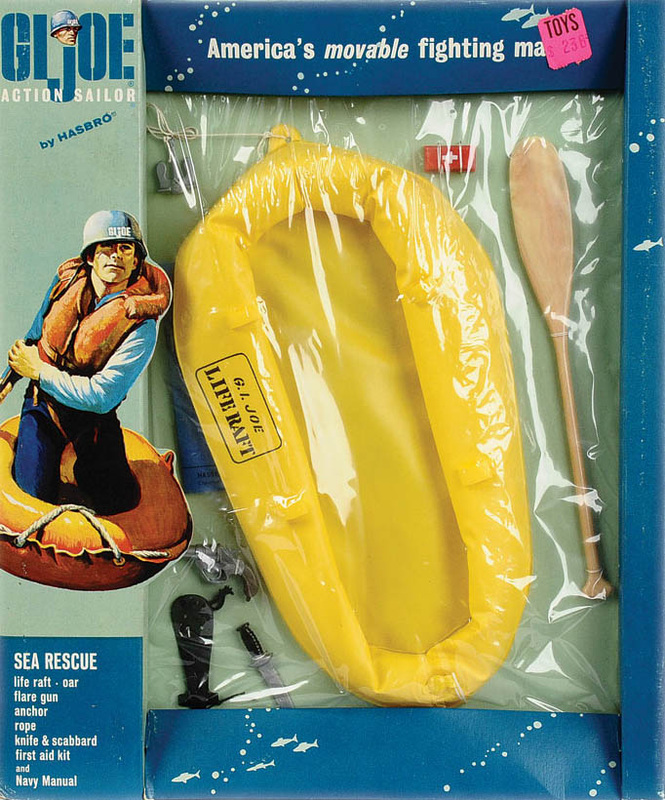 Sea Rescue (7601) was released in 1964 without the addition of the life vest, which was added in 1966. 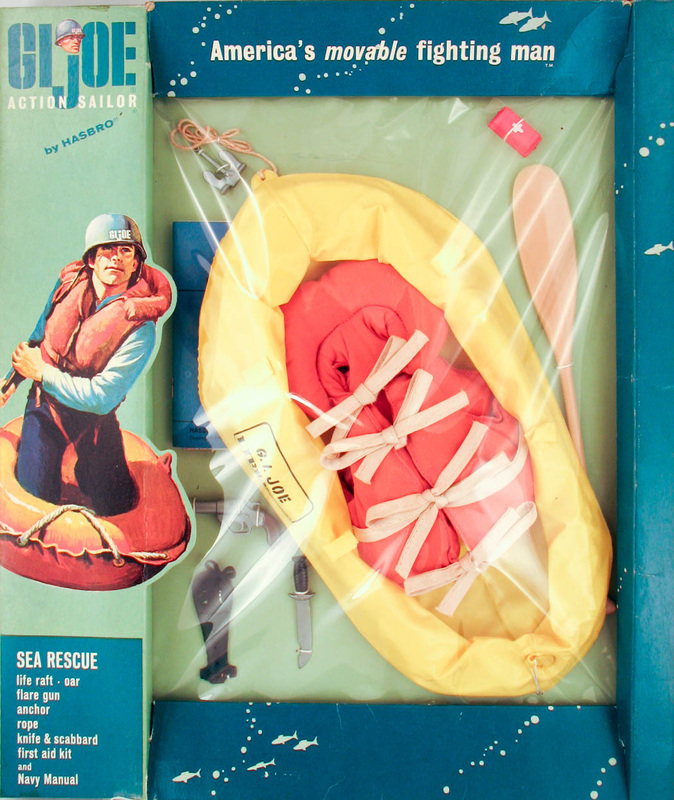 The set is virtually identical to the Pilot's Survival set. The vest was available on and individual card as well. The use of the same items in various sets is indicative of both Hasbro's thriftiness and the challenge of quickly manufacturing enough stock to fill the larger than expected orders in the first year. Image above copyright & courtesy of Vectis Auctions Ltd.